Some people do not like to hear a certain word in church. The word is bothersome to some. The concept is down right offensive to others. Due to so many people’s pasts, calling God, “Father,” is the worst possible name to ascribe to him and it leaves many Christians unsure of how to view God the Father. Let’s face it: we live in a fatherless world. Deadbeat dads are the cancer of our society. A majority of children are growing up in homes with fathers either physically or emotionally estranged from them. So when a person with baggage from their earthly father enters into church settings where the Heavenly Father is talked about, you see why so many people struggle. Pastor and theologian, A. W. Tozer stated that “What comes to your mind when you think about God is the most important thing about you.” The implication of that statement can not be overstated. Your perception of God has everything to do with how you live for him. The problem is that many people view their Heavenly Father in the same way they view their earthly father. If their father was absent, they believe God not to be concerned with their lives. If their father was too strict, they expect God to throw lightning bolts out of the sky whenever they misbehave. If their father was a passive disciplinarian, they oftentimes are more loose and engage in sinful areas since they have always gotten off the hook. The problem is we have reversed the order. Many think we call God, “Father,” since he is like our fathers. 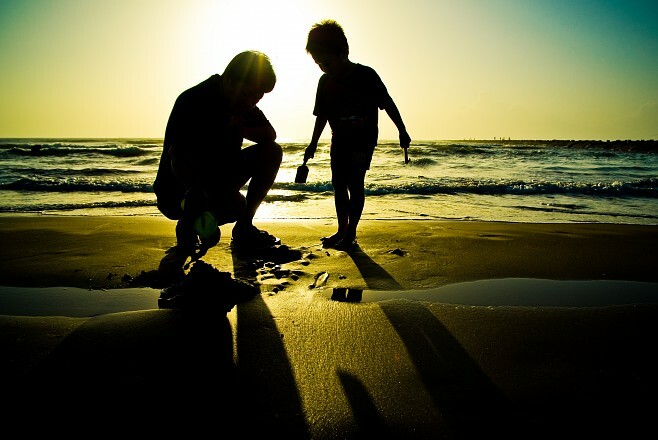 In reality, we call our fathers, “Father,” because they are supposed to be like God. Paul said, “For this reason I bow my knees before the Father, from whom every family in heaven and on earth is named” (Eph. 3:14-15). God creates and even names all family members. Fathers get their name from him, not vice versa. So if your earthly father was less than desirable, don’t make God pay for it! God is not trying to be like your dad, your dad has fallen short of being like God. God is a perfect father (Is. 9:6) who gives good gifts to his children (Matt. 7:11; Jas. 1:17). As a father, he carries us (Deut. 1:31), molds us (Is. 64:8), and lavishes us with love (1 John 3:1). He literally dwells with those lacking an earthly father (Ps. 68:5). Whatever your situation is, you do not or did not have a perfect earthly father. Don’t make God pay for that man’s mistakes though. Realize what you didn’t have in him you have abundantly in our Abba Father (Ga. 4:6; Matt. 6:9).